Start off your visit on the 9th (Sun): Head underground at Mawsmai Cave. On the next day, take in the dramatic scenery at Wah Kaba Falls, then admire the sheer force of Daiñthlen Falls, and then snap pictures at Double Decker Living Root Bridge. To see maps, traveler tips, where to stay, and more tourist information, refer to the Cherrapunjee trip planner . New Delhi to Cherrapunjee is an approximately 6.5-hour combination of flight and taxi. You can also drive; or do a combination of train and bus. Wrap up your sightseeing on the 11th (Tue) to allow time to travel to Kaziranga National Park. Kick off your visit on the 12th (Wed): explore the striking landscape of Kaziranga National Park and then immerse yourself in nature at Kaziranga National Orchid And Biodiversity Park. To find more things to do, where to stay, photos, and other tourist information, read Kaziranga National Park trip itinerary maker app . You can drive from Cherrapunjee to Kaziranga National Park in 7 hours. Cap off your sightseeing on the 12th (Wed) early enough to travel to Shillong. Shillong is known for nature, museums, historic sites, parks, and wildlife. Your plan includes some of its best attractions: contemplate the waterfront views at Umiam Lake, admire the sheer force of Elephant Falls, see the interesting displays at Don Bosco Centre for Indigenous Cultures, and admire the landmark architecture of The Grand Madina Masjid. To find reviews, traveler tips, and tourist information, read our Shillong trip itinerary maker site . You can drive from Kaziranga National Park to Shillong in 5.5 hours. 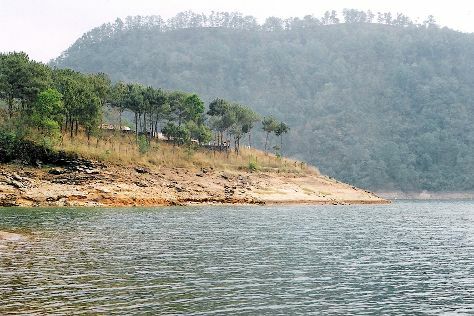 In June, daytime highs in Shillong are 39°C, while nighttime lows are 28°C. Finish your sightseeing early on the 15th (Sat) so you can travel back home.